The FIRM Real Estate Group partners closely with every buyer and seller to assure the proper alignment of interests. We use our creativity, ingenuity, smarts, and just plain hard work to market listings the way they should be, to gain the widest exposure and highest return possible. For buyers, we streamline the buying process, give exclusive online access, and conduct interviews to determine where to narrow each client’s focus. The FIRM’s agents embody a philosophy that benefits clients in terms of the complete and unbiased attention they receive. We will take care of you, leaving nothing to chance, and provide you with the information you need to make an informed decision about buying or selling your home. At The FIRM, we’re inspired by relationships, not commissions. We love what we do, and the people we work with, and that’s how real success happens. Kirsten has been an attorney in the Boise area since 1996, and active in real estate since her husband, Jeff Wallace, founded Wallace Custom Design and Renovation in 1999. 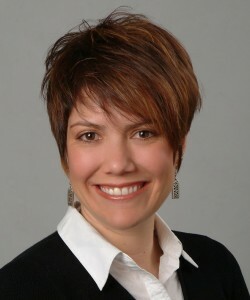 Kirsten obtained her real estate license in 2008, and founded The FIRM Real Estate Group in 2012. Her background as an attorney serves her clients well, because she takes care of every last detail for her clients. Kirsten’s work ethic is distinguished by an unwavering commitment to the best interests of her clients–even when it departs from her own short-term interests–which has earned her a devoted following of loyal clients and referral business. Kirsten demands a consumer-centric approach, and Silvercreek Realty Group's support and philosophy supports that goal. Kirsten loves technology and is always trying to stay ahead of the technology curve by consistently exploring innovative and effective ways to better serve her clients. A Boise resident since 1996, Kirsten prides herself on her knowledge of the marketplace, her negotiating skills, her meticulous research, and creative marketing techniques. Kirsten spends her free time with her husband Jeff, and their two children. Kirsten is an avid cyclist and snowboarder, so much of that time is spent cycling the roads and foothills around Boise, and enjoying Brundage Mountain in McCall, and Baldy in Sun Valley. Kirsten was always accessible and knowledgeable. She provided me with local real estate information which was very valuable since I was moving from another state/real estate market. I was surprised and thrilled to get an Edwards Greenhouse gift card. She really knew me and my likes! Thank you! You made this a great experience – We love our home! I look forward to being able to share your name with friends and colleagues. Monique and I have bought/sold six times since 2000 and haven't been more satisfied with anyone. You have a great combination of tech, personal attention and local knowledge. Not to mention the background in the law. I hope you are as busy with clients as you deserve to be.